TurnkeyShop offers the fastest and easiest way to get an e-commerce website online and open for business. Whether you are a small, medium or large business we believe that everyone should have access to all the same features. That’s why all of our shop plans include the same great features. The only difference is based on the number of products and disk space needed. So go ahead and check out all the great features we’ve included below! Use our ShopBuilder to create your very own e-commerce website. 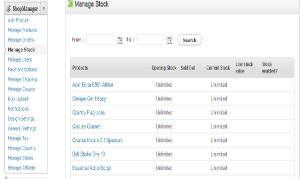 Within minutes you can set up a basic shop and load your products. Choose from a number of our professionally designed themes to set the basic look and feel, then upload your logo, adjust colors, settings and content to make your shop truly unique—no coding required! Your website will look professional and ready for business in minutes. Use your own domain (recommended). Every TurnkeyShop includes the ShopManager—an easy to use, web-based tool that you can use to manage your website and order fulfillment from anywhere in the world that you have an Internet connection. We believe the ShopManager is the easiest e-commerce website management tool on the market and we’ve got the customer support team and resources to make sure you know how to use it. Give it a try and we think you’ll agree. Your dashboard shows all orders that need to be filled, allows you to take products online/offline and manage all the marketing and promotional content you can dream up. The ShopManager contains the most powerful and flexible features you need in an e-commerce website such as setting up multiple tax rates based on location and shipping rates (flat rate, free, weight based and price based). It also contains the most popular payment options such as PayPal, Google Checkout, Authorize.net, 2Checkout and more. Snapshot of website orders and content management all in one place. Easily configure the features you need (Taxes, Shipping, Payment Options, Notifications and more). Customer support and educational resources to help you when you need it. Everything is web-based. Manage your shop from anywhere with a web connection. 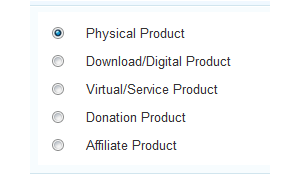 Sell physical products, digital products, virtual services, affiliate products or take donations. Easily select any type for individual products. Easily create and set product attributes based on size, colors, price, weight, special items and more. 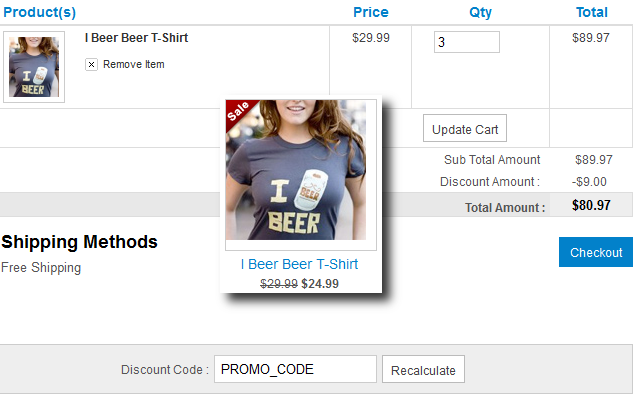 Flexible enough to set different prices based on certain attributes (e.g. different prices based on colors or sizes). 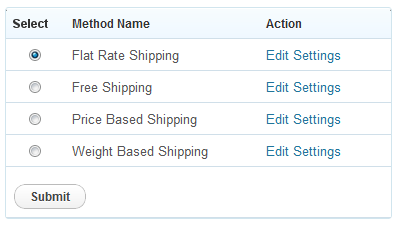 Pick from four different shipping options. Ship by flat rate, free, priced based and weight based. Product tax per state, country or region is automatically calculated for total shipping cost. Customize based on price range, state, country, region, etc. The following payment gateways are already installed and can be easily configured to receive payments quickly. PayPal, Google Checkout, Authorize.net, Worldpay, 2Checkout, Pre Bank Transfer and Cash On Delivery. Email notifications keep everyone up to date. Easily configure email messages when someone places an order, a payment has been approved or rejected and/or when the entire order and payment process is successful. A powerful and flexible design system is built right into the ShopManager to maintain the website’s appearance. Easily change/update your logo, layout, colors and more. Great for when you have hundreds or thousands of products to upload to your website. 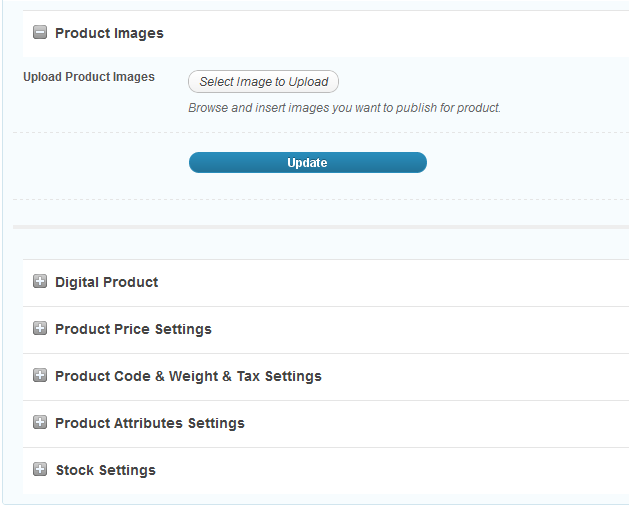 Save time by adding products and product attributes like images, shipping, stock, sizes, colors and weight at the same time. An integrated affiliate system is built in to the ShopManager and can be used to reward people interested in helping you sell your products. Use it to track sales, set how long affiliate cookies last, set comission percentage and generate sales reports. The purpose of an e-commerce website is to sell your products—that’s why the TurnkeyShop platform is built for marketing. You have the flexibility to decide how your products are displayed and categorized so feel free to get as creative as you like. Feature best selling items, new items and seasonal offerings so that your customers find all the great products you offer. The TurnkeyShop platform is very search engine friendly and you can even integrate your product listings in other e-commerce portals like Google products and Yahoo Shopping (additional costs may apply). Feature products, sales and seasonal specials. Create collections and categories to cross sell your products. Exercise your creativity when displaying your products. TurnkeyShops are search engine friendly. You may have heard the term “Content is King”. Well it’s true, fresh content is the key in marketing any website, especially an e-commerce website. Use your blog to highlight and review new products, educate visitors on product benefits/uses and announce special deals and sales. Your blog is your forum to tell the world about your shop and products. Plus, a blog is one of the best ways to build search engine traffic. WordPress is the most popular blogging system in the world and it’s built into your TurnkeyShop. Adding a blog entry is a snap. Use your blog for product reviews, customer support and announcements. You may just be starting your e-commerce website, but you probably have big ideas about where to take your new venture. TurnkeyShop includes the tools you need to add new pages, update content and expand your shop. Need to add new categories or product lines? No problem, TurnkeyShop’s ShopManager gives you all the power. As new features are rolled out by TurnkeyShop, your shop will be automatically upgraded too! Add new pages to your website as often as you like. New features and upgrades included in all plans. Start small and scale your shop over time. As you scale your shop, you might need some help filling all those orders, adding new products and making blog posts. You’ll be able to add as many accounts as you need so that others can help you manage your shop, and you decide which permission levels each account gets so that you can remain in control. TurnkeyShop is the perfect solution for you to launch your shop and will remain the right solution as you grow your business. Add unlimited user accounts for your staff. Set permissions for each user account so that you remain in control. Social media has made a huge impact on Internet marketing, but keeping up with it all can be a challenge. Your TurnkeyShop comes with the latest social media tools built in so that your customers can spread the word and help market your website and products. It’s a great way to get new customers. Plus, TurnkeyShop is the first e-commerce platform to let you create and manage your Facebook landing pages right in the admin area. Social media tools (Twitter, Facebook, etc.) are integrated right into your shop. Customer’s can easily share their favorite products with others. Manage your Facebook page content through in your admin area. Get the latest social media tools as they come out, included in your subscription. You and your customers can feel confident and safe about transactions on your websites as every TurnkeyShop includes a shared SSL certificate. You can enhance this with a dedicated SSL Certificate as well. Easily upgrade to a dedicated SSL Cert. Your customers can feel confident about their transactions.